Celebrating our heritage since 1914. This season we’re going back to our roots, recognising the tops, pants, denim, jackets and accessories that always have a place in your wardrobe. We’re all about the new classics. We’re introducing our essential range of dateless pieces, remastered for you to live in. It’s the quality we’re known for, the shapes you love and the styles you keep coming back to again and again. From mid-week appointments, lazy Sunday mornings or track-side at the Races, we’re delivering timeless styles for you to wear right now. This season is the perfect time to get that second pair, find that perfect Liberty floral or stock up on your wash-and-wear favourites. So what’s in store for spring? The Cleo jeans are back and will take you everywhere in a soft stretch cotton with a twill finish. 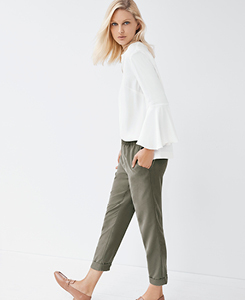 The Eva and Evie capris are the staple sister act for every season, with feminine finishes and a Japanese stretch cotton blend. 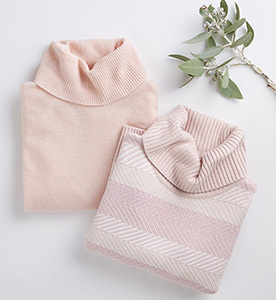 Springtime calls for linen in all its forms, and we’ve got your core needs covered with our light and lovely range of dependables. Our all-season anorak is set to make transeasonal-weather layering a breeze, while the cotton ticking stripe is designed to get the vacation brain ticking, and see you comfortably through the warmer days. And we know good jeans – it’s all part of our Australian heritage. 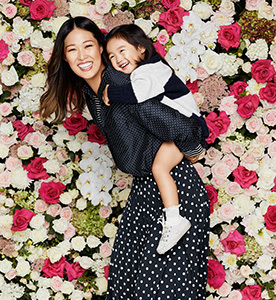 We’ve updated our favourite fits inspired by the way you want to feel (aka, fabulous). 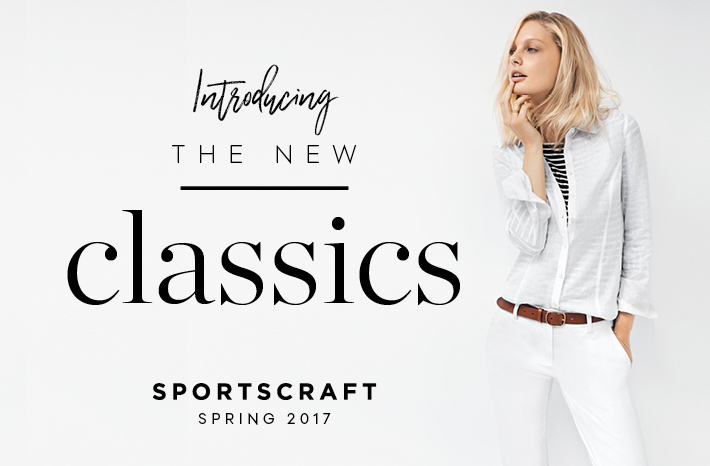 Just some of the new range of classic pieces you can expect from us this spring. 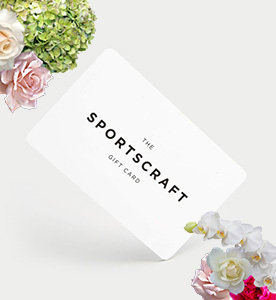 You may notice our trusty Sportscraft logo is looking a little different this season… In light of celebrating our classic pieces, we’ve brought back our original logo from the 1940s. The logo was developed all those years ago to feature an arrow as part of the design, to symbolise the brand’s sporting heritage, and to indicate the notion of positivity and life.